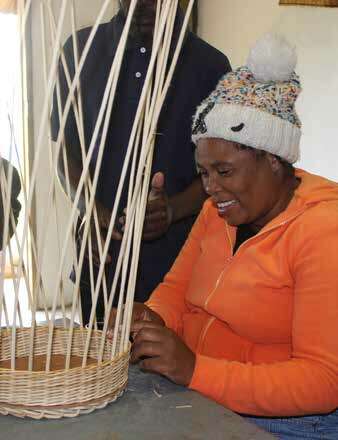 With skilful hands and creative ideas, members of a KZN cooperative are creating marketable crafts that supplement their income and making a success of it despite their disabilities. group of people living with disabilities in the KwaZulu-Natal Midlands are succeeding as entrepreneurs. The 15-member cooperative, called Shiyase Disabled Crafts, produces hand-made crafts, with cane being the main material they use. The cooperative, which is led by Muzi Mayaba, creates a range of products from litter bins to small heart-shaped containers and even cane furniture. Started in 1999, the cooperative sells its creations for profit which is shared among its members. This income supplements their social grants. “We sell to people here in the area, at the Royal Show in Pietermaritzburg and in some big stores in Pietermaritzburg… Our prices vary based on what you are buying. 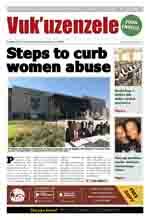 A small jewellery basket costs R30 but a big and more complicated creation can cost as much as R7 000,” said Mayaba. He said they also fix tatty or broken cane products. “People bring their broken chairs and we restore them to their former glory,” he said. R46 000 in funding from the National Development Agency. Sithole said the baskets they make are of good quality and can last for the longest time. Fellow crafter Lindiwe Mchunu had just finished weaving an office litter bin, which took two days to complete, when Vuk’uzenzele visited. The Mooi River-based cooperative would love a bigger workshop and even a small retail space. “We wish to grow and see ourselves working from a bigger space as we now are working in one room and all share the small table you see here. We also wish we could get help in opening our own store,” said Mayaba, who uses crutches to get around. Booysens Court: Did you know?